See’s Candies has been repeatedly raved about by sugar-fiends all over the world and rightly so. Being in the business for almost a century, this cult-favourite purveyor of all things sugary sweet has certainly perfected the formula that has kept chocolate and candy lovers coming back for more. Having started in the kitchen of the See family way back in 1921, See’s chocolate has boomed to more than 250 stores worldwide, and now, a couple more is set to open in the Philippines. And just last December 1st, the very first See's Candies pop-up store opened in Rockwell Powerplant Mall. 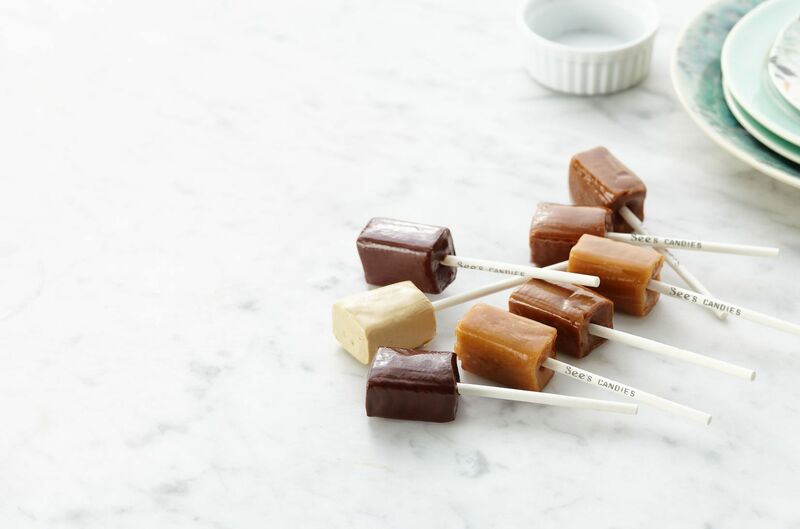 Carrying the brands trademark black and white colours, the seemingly quaint pop-up is filled by some of the brand's best treats that are freshly flown from the See's headquarters in U.S. Among their best-sellers to watch out for are the Peanut Brittle, Scotchmallow, Soft Centers, and Toffee-ettes. While, of course, everyone should also be on the lookout for a variant of cocoa-free treats such as Butterscoth Lollipops, and Assorted Little Pops. Meanwhile, a full-service store is set to open in Shangri-La Mall soon after, and we are assured to be greeted by fresh samples, a long-time tradition upheld by the company. Indeed what a sweet, sweet treat to end and start the year!